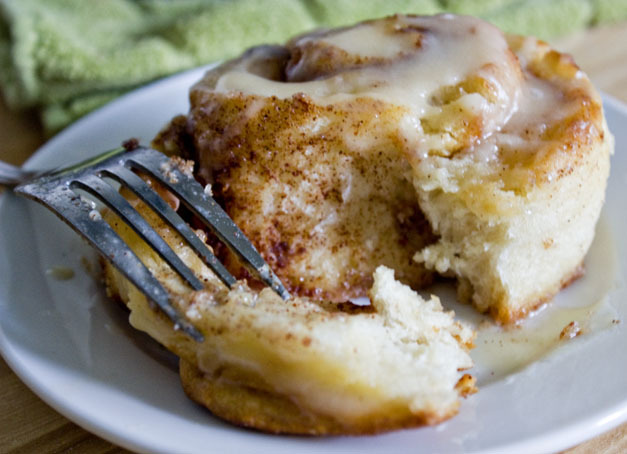 Cinnamon Rolls just got better by adding Cocoa Mill’s white chocolate to the icing. There are several ways to make cinnamon rolls varying from making your own biscuit dough to using prepared biscuit dough that you can find in your local supermarket’s refrigerated section. It depends on how much time you would like to spend prepping before the baking begins. Here are some links to a basic biscuit dough recipe (note: you only need the dough, do not cook them, turning them into biscuits). You can also purchase prepared dough made by various brands. 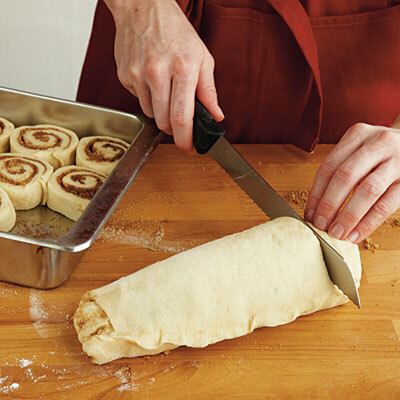 Once you have your dough ready you will need to clean a surface that can be used for rolling. 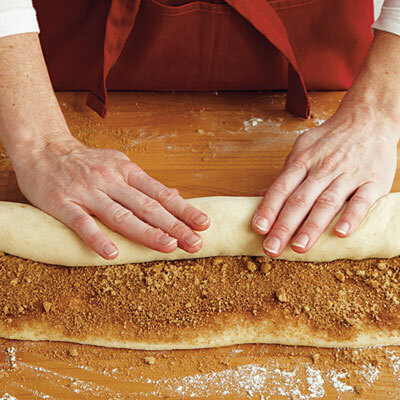 Dust the area with flour and roll your dough into a 1/4 inch thick rectangle. Spread the softened butter onto the dough covering it completely. Sprinkle the brown sugar until you have a nice layer (as little or as much as you want), sprinkle brown sugar with cinnamon and allspice. 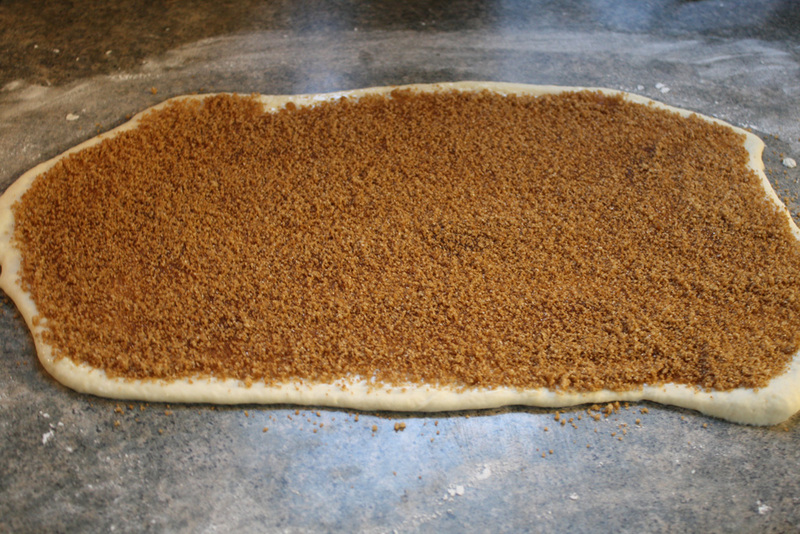 After you have the dough covered in the sweetness of sugar and spice begin to form the rectangle into a rolled cylinder shape. Starting at one long end, roll the edge over, again and again until the whole thing is a cylinder. After you have rolled it up gently pull from the center of the cylinder out to the ends extending the length of the dough. Cut into 1/2 inch circles and place in a 13 x 9 baking dish. After you have filled your baking dish place the rolls in the oven and cook for about 20 – 30 minutes until tops are just beginning to turn brown, but are still primarily white. You will begin tho smell the sweetness of the rolls and this is how you know they are done. Take them out of the oven and let them rest for 5 minutes. Ice while the rolls are still hot. Beat 2 Cups Powdered Sugar, cream cheese and butter in large bowl with electric mixer on medium speed until well blended. Add melted chocolate and vanilla; mix well.